When news broke on April 26, 2016 that a new Nintendo console was set to release in 2017, eyes rolled across the gaming industry. Nintendo’s previous console to grace the shelves of retailers, Wii U, wasn’t even news-worthy, garnering 13.56 million sales over the entirety of its five-year lifetime (its predecessor, the Wii, sold more units than that in its first year). Nintendo needed something to stay relevant and turn around their dismal financial earnings of the years prior…and they did just that with the Switch. Nintendo gave gamers the freedom to play the games that they love wherever they pleased. No longer were they restricted to only playing games and movies on their mobile devices or lug around heavy hardware if they wanted to play in another room or house. 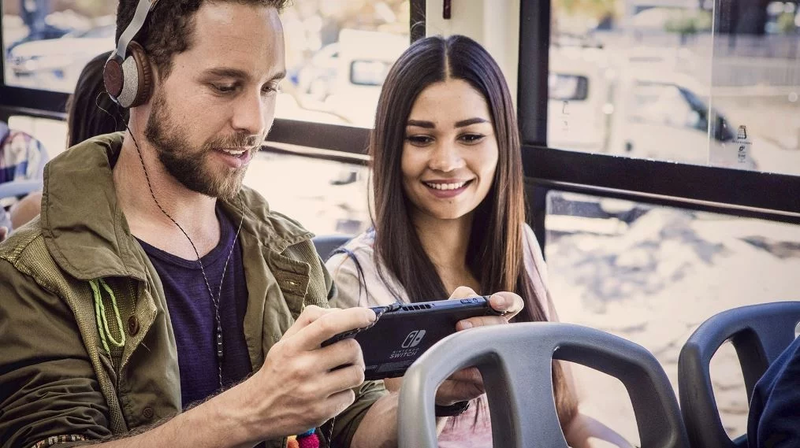 The Switch single handedly knocked down the boundaries that core and casual gamers had been fastened to for decades, allowing them to connect wirelessly to other consoles at the flip of a Switch. Unfortunately for Nintendo, sales were stymied in the first month of release for the Switch with 2.74 million units being sold from its March 3 release date to March 31 (27 days). Gamers were all waiting for the Xbox One X console to release in November 2017 and had just received a taste of the PS4 Pro that had released the previous November. 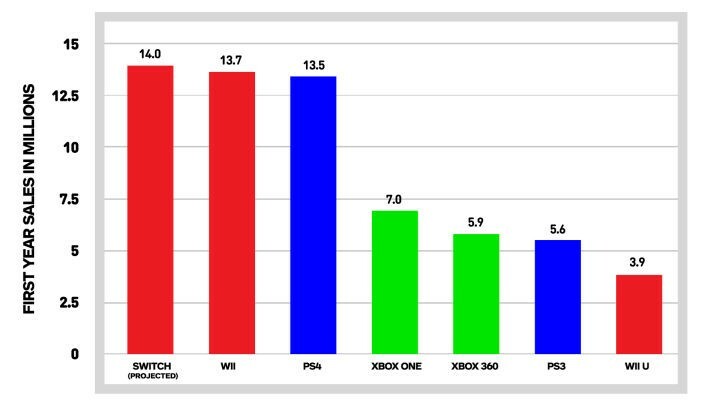 When the Xbox One X debuted at E3 in June 2017, consumers were unimpressed by the console’s lack of new, innovative features that came with the premium price tag. This subdued response opened the flood gates, allowing Nintendo Switch sales to become the fastest-selling console in U.S. history with more than 10 million Switches sold in 2017. But Nintendo isn’t letting go of the gas pedal. No way. They’re revving up for another huge year with their expectation to sell 20 million Switches. With a $299 price point and a plethora of fun games and accessories to spice up any gamer’s life, the Nintendo Switch has effectively filled a huge niche in the gaming marketplace that has been neglected for years. Thank you, Nintendo. Blog by Genny Harrison, Social Media Manager at Kingsoft Office Software.